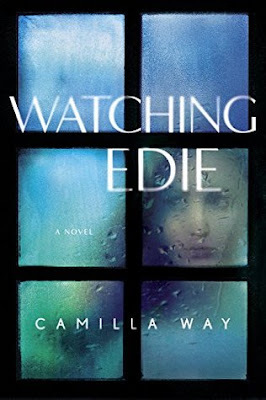 Laurie Here - Contemporary Fiction and MORE - Book Reviews: #GIVEAWAY for "Watching Edie" by Camilla Way #Enter to #win this NOW to 8-20! #GIVEAWAY for "Watching Edie" by Camilla Way #Enter to #win this NOW to 8-20! I just did a review about this book yesterday, August 2nd, the Release Date HERE! and I want to share with you there is a #GIVEAWAY for this book at Goodreads! You can reach this Giveaway by GOING HERE TO ENTER! Good Luck!!! I hope one of you who follow me WINS THIS BOOK! Please - let us know if you DO win! !